Long before there was a Salesforce Tower, there was a tiny apartment next to Marc Benioff’s San Francisco home. There, on March 8, 1999, the three coders Marc had convinced to join him began writing the code that would become Salesforce.com. Since then, Benioff is as much known for his outsized philanthropy (estimated at over $500 million given by he and his wife) as he is for his $120 billion dollar cloud software giant. At least, they’re all doing it wrong if attaining real intelligence is the goal, says Boris Katz … the man who basically invented the ability for computers to process and understand natural language. Katz’s ideas were the brains behind IBM’s Watson defeating Jeopardy’s two greatest champions in 2011, and his work was the inspiration behind Apple’s Siri. In language processing, like in other fields, progress was made by training models on huge amounts of data—many millions of sentences. But the human brain would not be able to learn language using this paradigm. We don’t leave our babies with an encyclopedia in the crib, expecting them to master the language. When we see something, we describe it in language; when we hear someone talk about something, we imagine what the described objects and events look like in the world. Humans live in a physical environment, filled with visual, tactile, and linguistic sensory inputs, and the redundant and complementary nature of these inputs makes it possible for human children to make sense out of the world, and to learn language at the same time. Perhaps by studying these modalities in isolation, we have made the problem harder rather than easier? 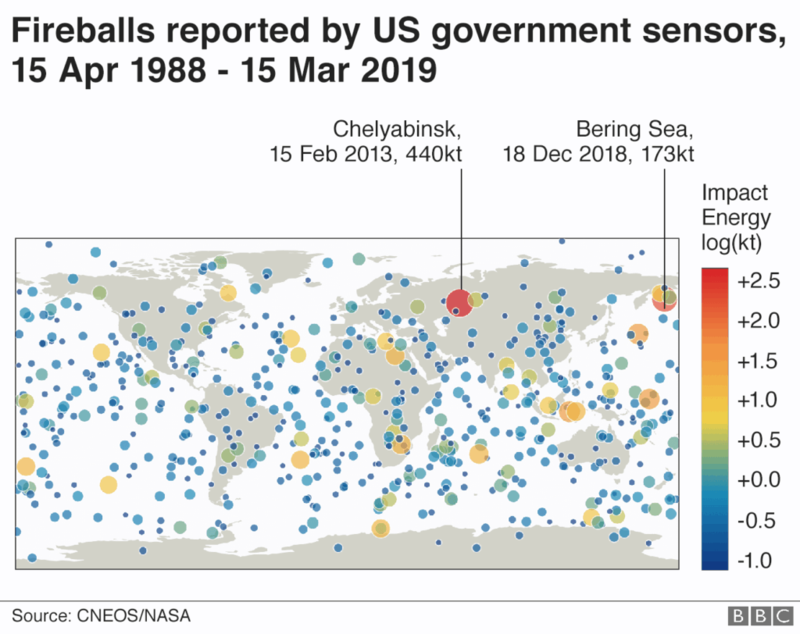 The 2nd largest projectile to hit Earth in the last 30 years did so back in December, exploding in the sky over the Bering Sea closest to Russia’s Kamchatka Peninsula. The rock, believed to have been “several meters in size,” detonated about 25 km above the surface, with an explosive force of 173 kt (1 kt = 1 kiloton = 1000 tons of TNT). To put that into perspective, that puts the blast at roughly 11.5 times the explosive force of “Little Boy,” the atomic bomb that leveled Hiroshima. What would the map look like if political subdivisions were drawn around the 100 largest population centers in America instead of the state boundaries we currently have? A city planner used GIS data to draw up the possibility and explore how those new boundaries would’ve effected political outcomes. With all the current talk about doing away with the Electoral College vs explaining why the EC exists in the first place (and no, it wasn’t a tool designed to preserve slavery), this is certainly a timely, thought-provoking use of data and data-visualization tools. Both flights crashed a few minutes after takeoff, due to similar malfunctions of the jet’s MCAS system. As a result, the jet has been grounded by countries all over the world. 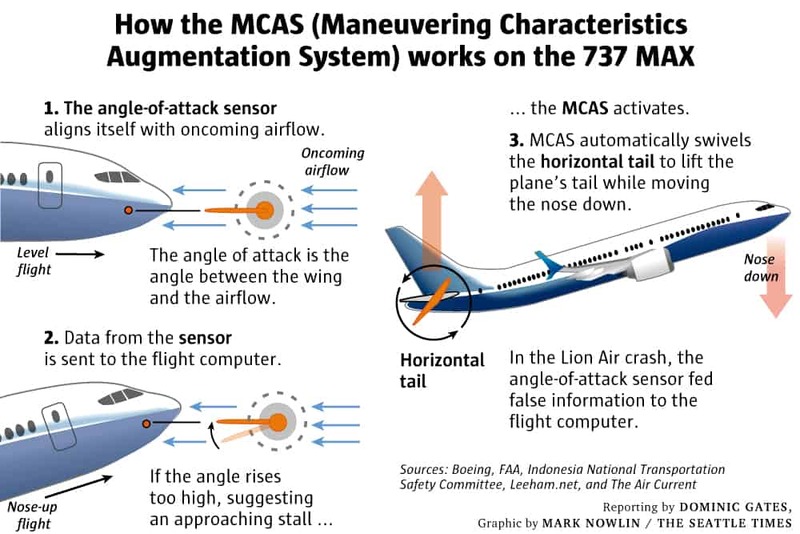 This article by the Seattle Times (home of Boeing) provides a detailed account of the regulatory enforcement issues (to put it mildly) that contributed to systemic failure to uncover the design and training flaws with Boeing’s new jet design. Meanwhile, this tweet-thread by a pilot and software engineer puts the failures into a larger, longer context of failures. As always with horrific system failures, there are usually dozens of opportunities for one different choice to alter the outcome.